The search engine has been planning to remove them for a while now, and it has finally happened. The desktop and mobile search results from Google have now had their emoji support removed, in a move that has been a part of the company’s strategy for some time now and that has surprised some but that has been perfectly expected by others. Google has never pretended that it has been much of a fan of the emoji when it comes to mobile tech based searches. The actual removal of the emoji from desktop and mobile search results was a quiet one that occurred over the weekend. The ability to conduct a query through the use of these emoticons was simply taken off without making any form of official announcement that could be found by the time of the writing of this article. 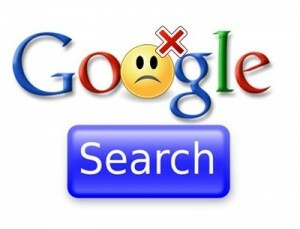 Searchers have since noticed that when they try to use them as a part of a query, they do not receive the results that they once would have. At the same time, pages that continue to use emoji for mobile search optimization won’t be penalized. The only real outcome is that those emoji will not appear in Google search results when the page happens to come up in the search results. That said, when accompanied by text, the emoji will still appear in the headers. It is only in the description text that it will no longer be displayed or called up into the mobile searching results. This has occurred after emoji have been permissible as a part of mobile queries for quite some time now. A few months ago it finally managed to work its way into the desktop search world, as well. However, a few weeks ago, Google did mention that it would no longer be supporting emoji for its search on any kind of device so now that this has actually occurred, there are many who don’t find it to be truly surprising. Emoji had been used for desktop and mobile search by certain brands as a part of a broader strategy to make their way to the top of the results list. For example, a new way for a pizza restaurant to search engine optimized could have been to do so with the pizza emoji. That is no longer the case, when searching through Google.